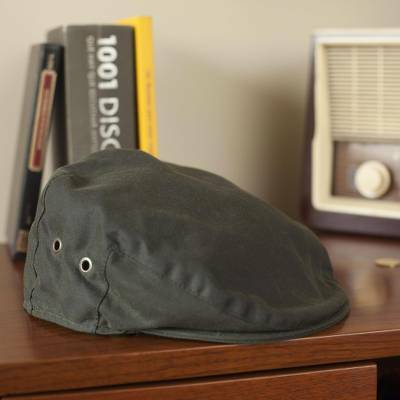 Irish Vintage Green Waxed Cotton Cap, "Wayfarer"
Shake off drizzly days with ease in this tailored flat cap. Made in Ireland in a handsome, slim shape using waterproof waxed cotton, it’s a look that hasn’t changed in more than 100 years. Features a snap brim and side gussets. Sponge wipe with cold water only. If dirt is ground in, gently brush it off with a soft bristled brush and then rinse. Dry naturally in a dry, well-ventilated area.